Suffering an injury due to negligent medical care has lasting effects that continue long after the physical trauma has healed. People go to doctors trusting that the care offered will heal them, not inflict further pain. Consequently, when incidents of possible medical malpractice occur, the victim is much more reluctant to seek medical intervention in the future, compromising their long-term health. Receiving appropriate medical care is a reasonable expectation all patients should have, but there is a correlation between quality of care and the extent of access. Access to quality medical care in America is linked to securing health insurance, but until the passage of the Affordable Care Act, many Americans were shut out of the private health insurance market. A new bill introduced in Congress in early January seeking to repeal the Act also includes several provisions directly affecting medical malpractice cases. Florida’s medical malpractice laws underwent reform in 2003 that skewed in favor of doctors and hospitals, and made it harder to litigate these cases because of additional requirements. While the change to medical malpractice law in the new proposed bill before Congress, the American Health Care Reform Act, will not drastically alter the process for most plaintiffs, there are some important changes worth exploring. An overview of the proposed provisions affecting medical malpractice cases will follow below. 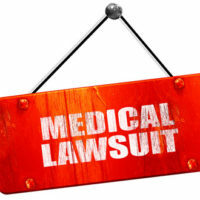 The biggest potential modification to the current legal procedure of medical malpractice cases is that either party would have the ability to more easily move a case to federal court and out of the state court system if a federal payor is involved, like Medicare, or a federal statute is at issue. State court systems are over-burdened with cases, and typically have fewer resources compared to federal courts. Consequently, cases are likely to progress faster in the federal system, but some of the federal procedural rules heavily favor the defense, which could hurt plaintiffs’ chances. If a case is moved to federal court, a review by an independent medical review panel must be completed before the case can proceed. This review would serve a similar purpose to the pre-suit requirements for medical malpractice cases under Florida law that are designed to assess the merits of a claim before a formal court case can be initiated. The panel would be composed of three physicians who specialize in a field of medicine relevant to the case, jointly selected by the parties. The panel would assess the liability of the defendant based on whether the care provided met the standard of care of prescribed clinical practice guidelines. The panel’s conclusions could be used as evidence, and if the panel found no liability, the judge could enter a verdict in the defense’s favor. This provision will add time and costs to medical malpractice trials in federal court, which also favors defendants because they tend to have greater financial resources. Finally, the proposed law would raise the standard of proof needed for summary judgment. A standard of proof refers to how strong the evidence must be to find a party liable, and summary judgment is a procedure used to avoid unnecessary trials. Basically, if there are no disputes over the facts and the law says a party must prevail, the judge will issue a verdict for this party before the trial phase of the case begins. Previously, to get summary judgment in federal court a party only needed to have enough evidence to show the party’s position was more likely true than not. Now, a party must produce evidence that demonstrates a party’s argument is substantially more likely to be true than not. This new standard requires more and stronger evidence, and will make it harder for defendants to win without a trial. Injuries from medical negligence can be devastating and life-altering. If you suffered an injury due to inappropriate medical treatment, talk to an lawyer about holding the doctor and medical facility accountable. Doctors have a duty to treat patients in accordance with accepted standards in the medical community, and the lawyers at the Miami law firm of Pita Weber Del Prado are skilled at determining if the right approach was used in your case. Contact us today for a free consultation.